of their own pension funds. The decision to be taken by a majority concerns about 400 cases in the highest court, although the Court's sources have said that there are similar claims in the area of ​​justice between 200 and 600. Today, pensioners who make profits from their assets amount to 300,000. The court would decide that they should not be taxed because it would mean double taxation because they already paid when they were in business and now they are paid again. The judges also analyze the sending of a message to the Congress of the Nation in order to adopt legislation on this matter, as it is Parliament's duty to decide on tax matters. were the same who failed to benefit the pensioners in the Blanco case, which meant that an adjustment should be made to the retirees with the consequent economic damage to the treasury of the government. And this same majority is the one that has ensured that San Luis Province will charge 15,000 million pesos for poor winding up of federal co-operation. Santa Fe has a similar claim. The court could decide that pensioners should not pay the profits, but this does not mean that the money that has been discounted until now is returned. the establishment of a market withdrawal system. These are a number of variables that will influence the determination of the economic impact of this decision, the question that judges of the Supreme Court consider as foreigners, because they understand that this is an illegal problem, but the Ministry of Economy. Strictly speaking, the Court will decide on the case of a pensioner in Parana María Isabel García, but this decision will affect the family of cases dealt with at the highest court. Garcia has demanded that the law that obligates payment of retirement benefits equal to six times the minimum wage be declared unconstitutional. As a minimum guaranteed amount, there are 10,410.37 pesos, pensioners and pensioners who receive $ 62,462.22 or more. In 2015, María Isabel García, who was a deputy and teacher at Entre Ríos and retired from the pension and pension fund in the province, filed a lawsuit with the court to declare the unconstitutionality of the articles on income tax. Federal Court of Concepción del Uruguay no. 2 stated that the matter is a pure right, which means that it was only necessary to interpret the law and not provide any evidence and give room for the claim. The penalty was confirmed by the federal chamber in Parana. The judges claimed that it was contrary to the "constitutional principle of the integrity of the pension fund" that it was reduced with a deduction of profit. They emphasized that, especially if it is considered that the pensioner already paid when he received the salary and was active. The Court then referred to double taxation. The Chamber also confirmed that retirement is not a profit, but a fulfillment of the company's obligation to the pensioner, who was the protagonist of social progress in his field and in his time. AFIP then filed a complaint with the Supreme Court with an extremely federal appeal. 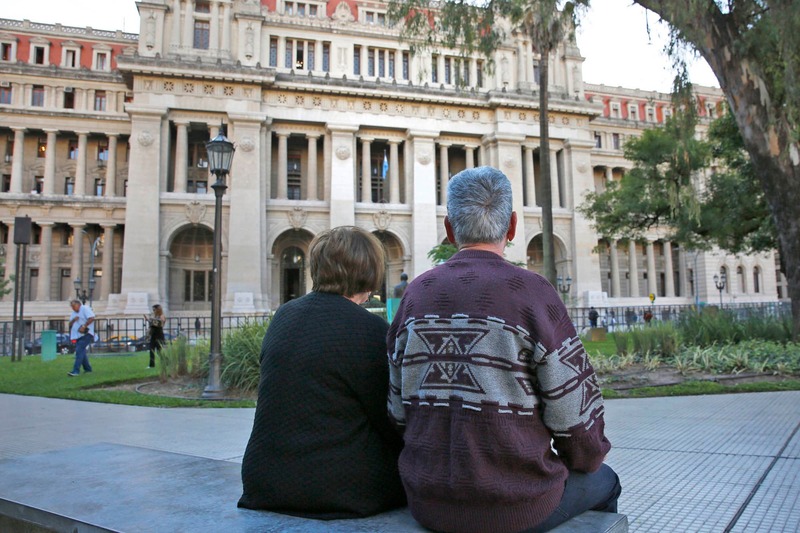 According to AFIP, the "integral nature of retirement" does not mean that the assets are intangible and that the right to benefit from the benefits of social security does not exclude the obligation to provide state costs. AFIP said that Mrs García's retirement exceeds the amounts that are not subject to taxation and exceeds the amount deemed necessary for a decent life. The court will then have to analyze the various legal aspects of this problem. On the one hand, if retirement is income and here it may require the definition of a congress, so as to delimit what is considered as income in an auxiliary sense. In addition, the Court must determine whether the payment of earnings is a double taxation, which is a debate on taxation techniques. AFIP does not constitute double taxation, since, in its view, the payment coincided over the same period and is claimed by two or more entities. Judges should also discuss whether the payment of a salary on retirement affects the "integrity" of retirement provided by the national constitution. Here the result will depend on the precedents of the Supreme Court and the constitutional analysis carried out by the magistrates on the text of Magne Carte. Another problem that arises in the case is whether retirees should have a different tax treatment than those who are not. The question is to determine whether membership of the category (elderly) is sufficient to exempt the tax, or, conversely, depending on the particular circumstances of each affected person. Finally, judges must determine whether the deductions for profits are confiscated. This case has been dealt with on several occasions by the Court's case-law. In this case, it must be ascertained whether Mrs García's position fulfills the criteria by which it could be considered that part of her property was amputated beyond the limits of her ability to contribute to the common cause. The Supreme Court should analyze how far it comes with its powers to decide on tax issues, because it considers that it is not regulated by law, but by the Congress. It is precisely this state which determines what is being collected and the judicial power is responsible for not replacing it, but it finds that such a regulation does not violate the constitutional right.